I came across this book while randomly browsing the shelves at my local library, and right there at that moment, without looking it up, reading reviews, or even checking out the blurb, I decided to pick it up. Because let’s face it, this parenting business is hard. And to be honest, this book’s title spoke directly to one of my biggest parenting concerns, ever since my son outgrew the toddler phase. So I quite literally devoured the book. However, now after reading through it all, I am kinda conflicted on how I feel about it. On one hand, even though it wasn’t exactly what I was expecting, there were a lot of really valuable parenting tips and insights that I got to take away from the book. But on the other hand, there was also a dominant religious theme all throughout the book, where the author spoke extensively in support of (what is considered) the Christian world view, which included conservative thoughts on gays and abortion. And no, there was no direct propaganda for or against any choice, but the message on what is considered normal and acceptable was clear. Now to be completely honest, I personally wasn’t offended by any of it, because (being a Hindu by faith) I understand how religion can influence our thoughts and ideals (even though I’d say Hinduism is very liberal in character, it’s the interpretation that counts). Moreover I don’t get easily offended by contrary points of view. Nonetheless, the presence of these themes weighs on my mind whenever I think about recommending this book, so I thought of mentioning it in my review. And this is the reason why I urge you to take your own call on whether the presence of these themes bothers you. Because if you ask me, I’d say this book is definitely worth a read just for the parenting tips and insights it provides, so long as you don’t get easily offended by (possibly) contrary points of view on some socio-religious topics. That’s all from my end folks. I’d love to hear from you. Have you read this book? How did you find it? Have you read any other book on this topic? If yes, I’d love to hear about it. Please do share. I like how balanced your views are about this book. Maybe when M is old enough I’ll give it a go. I like that you have a library to pick books from. Unfortunately, we don’t have one in the neighbourhood and it’s really disappointing. Oh yes, the public library system is definitely one of the things I LOVE about this country. When I first came across it, it was almost too good to be true. And now I realize I simply cannot live without it. India definitely needs a similar system! 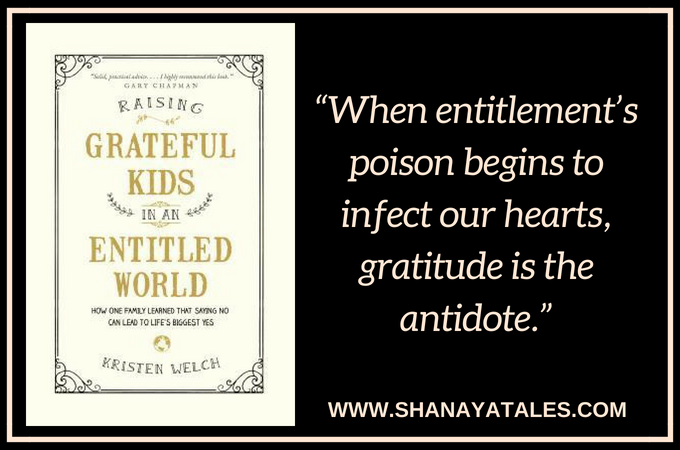 The title really speaks to me, Shantala, as I am sure it does to a lot of parents. But yes, what you mentioned about the conservative views is valid though personally I am not much bothered by it. I know when it comes to certain issues, I hold my own opinions. Let’s see when I get back to reading, maybe I will pick this up. Exactly Rachna. It doesn’t bother me much either, even though I don’t agree with everything. But I thought I’d mention it anyway, for folks who might be sensitive towards these particular topics. I guess I will give it a try only to understand the parenting aspects. I really like the way you have taken a very balanced and neutral approach to the book. I like the title. I will add this to my TBR list. Somehow even I feel religions are basically very liberal, it is the way it is interpreted that makes us feel the strain in them. Anyway, I will read this. I just downloaded a sample to give it a chance. I must confess though, I began to read it with a pessimistic approach. And reading just the sample, I felt, (although I may agree on the entitlement aspect for the kids born now), i felt the sample to be a bit preachy. Still, I thank you for giving me a reminder of how we ought to remember that we don’t give in to their demands always. The title would make anyone grab it right away. I am open to read and understand the different religious view points and dont get offended when the views shared do not match with my sensibilities. I may not agree but I wouldnt take an offense! Yeah same here. I may not agree, but I am not easily offended. I think you will like this one, Shilpa. I would love to hear your thoughts if you ever get to it. Yeah, this is exactly why I mentioned the strong religious theme spread across the book. It’s not for everyone, and these things are always better to know beforehand. Nice balanced review. I had written a similar post on entitlement…Do read. And hope you like it. Glad you liked the review. Thank you so much for reading. And I will definitely check out your post. Heading over now. 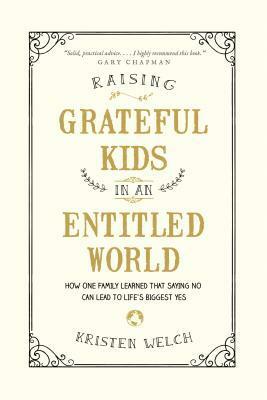 I may buy this book, Shantala to introspect about the parenting part. I really don’t know what it holds about teaching children about life through religion. Well, that’a a very subjective premise & I feel strongly about letting children be very liberal in their thoughts when it comes to one’s faith. Especially when the society around us is so nascent about religious ideals & contemplating other religions with optimism, kids should first be taught about basic values of patience, kindness, gratitude & compassion through our daily gestures rather than idolizing religion. Because, when I tried getting deep into this, I felt every religion has some or the other value(s) which had to be upgraded as they held little relevance to our world today. Woah, I can talk endlessly about this topic. And before I digress totally, let me tell you that your review is so good & neutral, Shantala. Haha no worries. I totally get what you mean. In-fact this is one topic I can ramble on endlessly too. I loved that you balanced your review about what you liked and what you prefer not to talk about. I have read books where one thought stays with me, but another kind of doesn’t ring the right bell. As long as we can stay objective, it’s good. I agree. So long as you can stay objective, this book has some valuable parenting insights. But if one is sensitive towards these topics, it will only cause aggravation, so best to stay away! You are pretty balanced with your review; I, on the other hand, am not so tolerant. I think parents are better off reading books by psychologists or professionals on this topic as opposed to someone with a religious agenda. Positive psychology talks a lot about gratitude and I’d prefer that. Even Brene Brown who is Christian by faith, manages to separate her faith from her research and does not have conservative views about sexuality. Sorry, just my rant. No, no I understand, and I quite agree. I am not sure I would have read it if I knew that religious intolerance was even a subtle theme in this one.